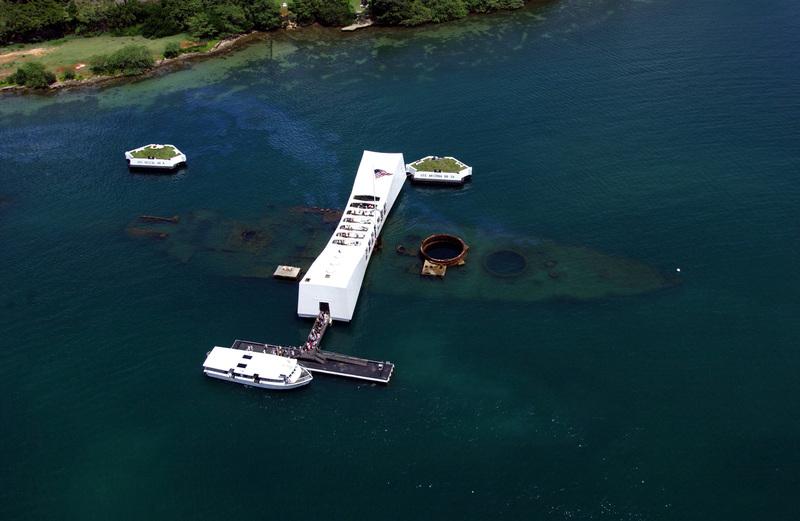 Updated Information 2-2-16: Boat Tours to the USS Arizona Memorial have been resumed as of today. Boat tours to the USS Arizona Memorial at Pearl Harbor were canceled Friday, after a civilian helicopter went down into the surrounding waters Thursday. 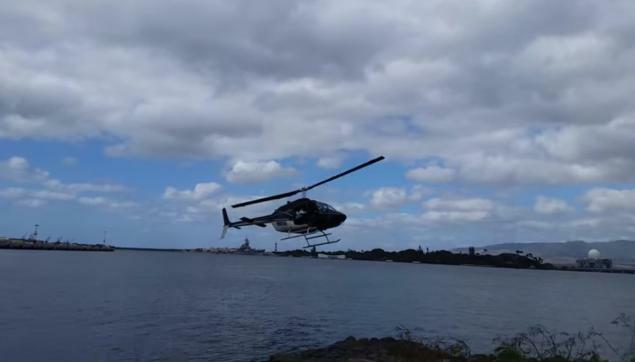 According to Hawaii News Now, the chopper had been touring Waimea and was returning to Honolulu with a family of four on board, plus the pilot, when it plunged into the water near Pearl Harbor Thursday. As the helicopter fell, scores of onlookers watched in disbelief. Onlookers didn't waste any time jumping in the water to help rescue those on board, and all five people on board were rescued. The Bell-206B chopper, operated by Genesis Aviation, came down about 10:30 a.m., after experiencing a rapid descent that caught the attention of memorial visitors. Several witnesses also said they saw smoke coming from the helicopter’s tail shortly before it went down, according to the news station. Every day, hudreds of visitors take boats to the USS Arizona Memorial, where visitors can pay their respects to the men who died during the Japanese attack on Pearl Harbor. After the crash, good Samaritans jumped into the 8-foot waters to help rescue the crash victims and were able to rescue all of those on board; although a 15 year-old passenger remains in critical condition. Another passenger remains in serious condition, two others are in stable condition, and the pilot was injured and taken to Tripler Army Medical Center. Friday, civilian companies with the support of the U.S. Navy are attempting to salvage the helicopter. According to Hawaii News Now, they will attempt to attach and inflate bags to the downed helicopter and float it to Hotel Pier 6 at Joint Base Pearl Harbor-Hickam. From there, the helicopter will be floated to a Genesis Aviation hangar at the airport where the National Transportation Safety Board (NTSB) will conduct an investigation. While the salvage operations continue, the Pearl Harbor Visitor Center IS open. The Bell-206B chopper, operated by Genesis Aviation, came down about 10:30 a.m., after experiencing a rapid descent that caught the attention of memorial visitors. Several witnesses also said they saw smoke coming from the helicopter’s tail shortly before it went down. After the crash, good Samaritans jumped into the 8-foot waters off the center’s esplanade to help the passengers and pilot to shore. Witnesses described a surreal scene as the chopper dropped in the water just feet from groups of people visiting one of Hawaii’s most iconic tourist attractions. There’s no word on when tours will resume to the USS Arizona Memorial, but the park remains open and visitors can still visit the USS Bowfin, the Battleship Missouri, and Pacific Aviation Museum. If you have booked a Pearl Harbor Basic Tour or a Pearl Harbor Home of the Brave Tour through Hawaii Aloha Travel, be sure to check with your travel professional, in case the tours are canceled for future dates.